Citizens have refused to take no – or no-shows – as answers when elected officials sidestep questions at town hall meetings about Republican plans to cut health care and the Affordable Care Act (ACA). “They have a right to hear what policy proposals are on the table, and how they will be impacted before any vote,” says Mary Clark, Regional Director at Citizen Action of New York (CANY). New York, Nevada, Wisconsin and Maine are among the states where People’s Action affiliates organized over eighty events to publicly challenge officials during the Congressional recess in February. They will do so again when representatives return to their home districts April 10th through 23rd. “Given how much heat there was this recess, I can’t imagine what April will be like if the House votes on these life and death matters before people get a voice,” says Clark. New York Republican Representatives Claudia Tenney, David Donovan, Elise Stefanik and John Faso all refused to meet with voters in February – in Faso’s case, so he could attend a $1,000-a-plate fundraiser instead. In response, People’s Action affiliates hosted “empty chair” town halls, often to overflowing crowds, where voters’ voices could be heard. This surge of interest in accountability has also prompted West Virginia communities to host “Citizen Lobbyist” trainings, in which CAG teaches community members how to effectively engage their elected officials. 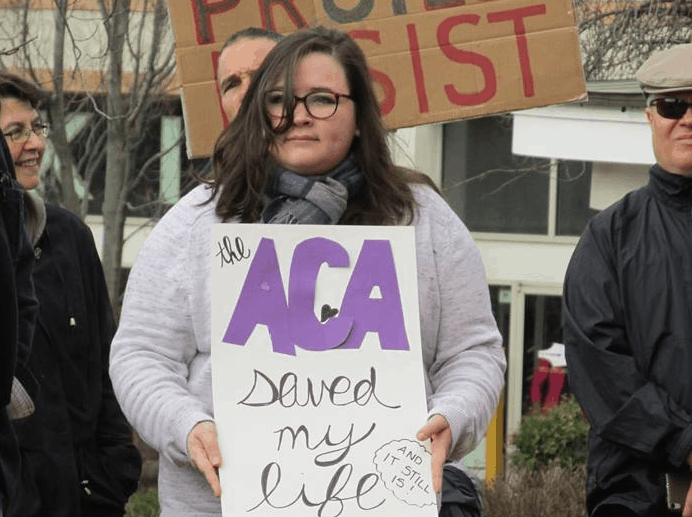 West Virginia Senator Joe Manchin, a conservative Democrat, is one of the handful of supporters of changes to the Affordable Care Act who has agreed, after pressure from CAG, to meet with constituents in April. New Jersey Rep. Tom MacArthur’s office was flooded with calls after he alleged town hall meetings were organized by paid agitators. 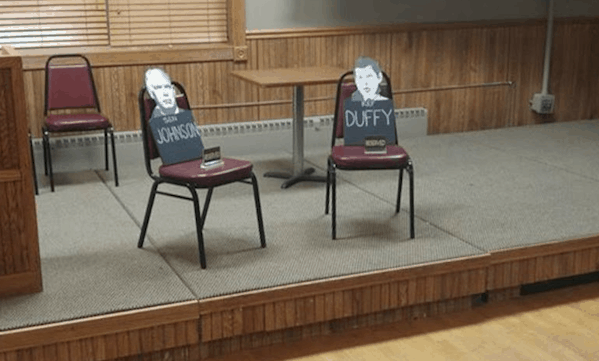 NJ Citizen Action partnered with South Jersey Indivisible to hold “empty chair” town halls in his and other districts. 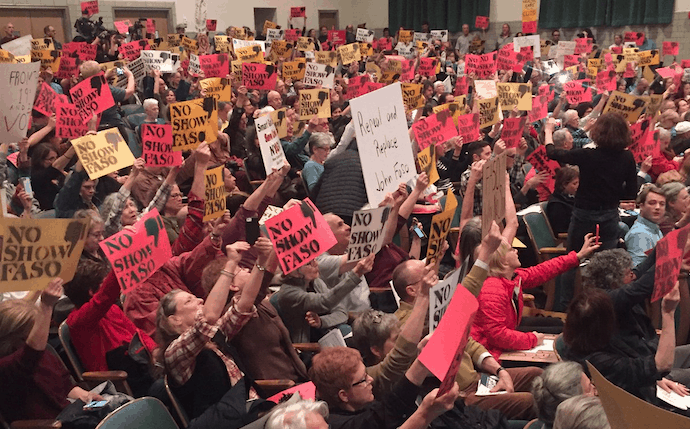 MacArthur has since agreed to a town hall meeting, and the groups have renewed their calls for Reps. Freulinghausen and Smith, who have also avoided voters, to meet constituents in the upcoming recess.